To maintain the right temperature while gemrinatin mushroom spores or in a mushroom grow chamber, you need to read out the temperature. 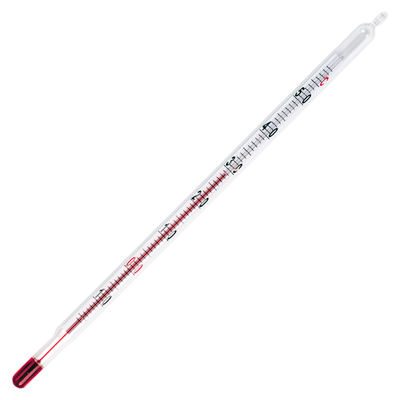 This glass thermometer with alcohol based liquid is high quality laboratory equipment that is a necessity for the serious mushroom grower. Chemical thermometer for general use. Capillary filled with red liquid (alcohol based).